If you’re a GN’R fan then this is the night for you!! One of the only tribute bands to have actually played live on stage with members of Guns N’Roses themselves!!!! 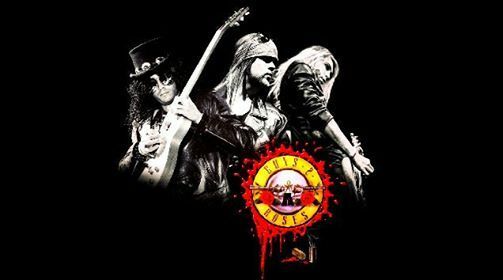 GUNS 2 ROSES ARE THE LONGEST RUNNING, CLOSEST LOOKING AND MOST INTERNATIONALLY RECOGNIZED GN’R TRIBUTE IN THE WORLD. ONE OF THE FEW TRIBUTE BANDS OF ANY TYPE TO CROSS OVER FROM THE MERE TRIBUTE BAND CIRCUIT TO MAINSTREAM MEDIA AND CLOSE ASSOCIATION WITH THE REAL GUNS N’ ROSES. THE LAST TIME THE BAND PLAYED ESQUIRES IT WAS PACKED TO THE RAFTERS GET YOUR TICKETS NICE AND EARLY.